Flat rectangular box with angled corners. 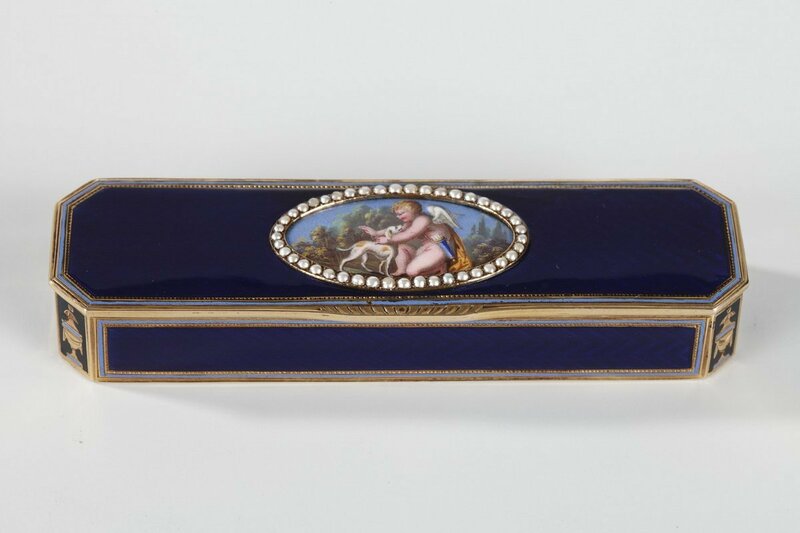 The gold is decorated with an intricate zigzag pattern and covered with translucent royal blue enamel that leaves the pattern underneath visible. 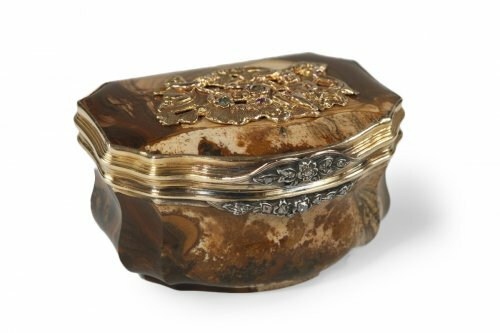 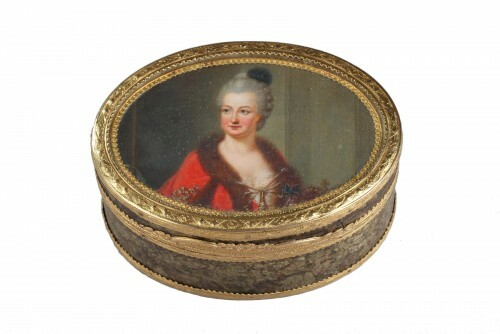 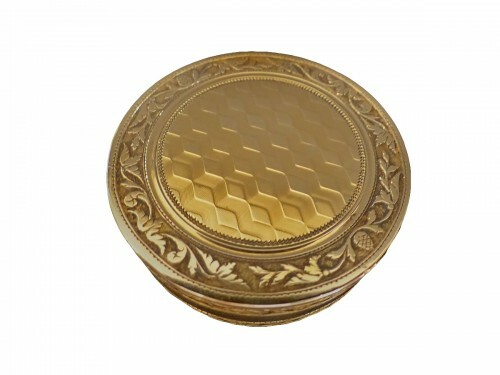 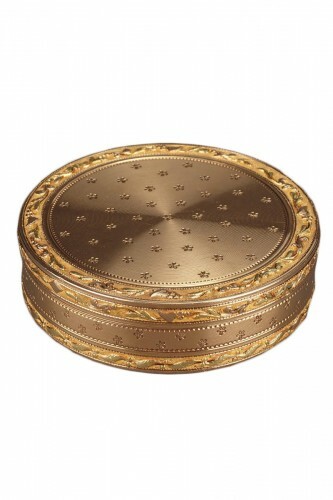 The hinged lid is decorated with an oval medallion framed with inlaid pearls. 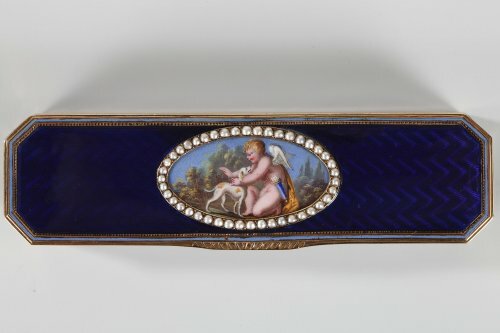 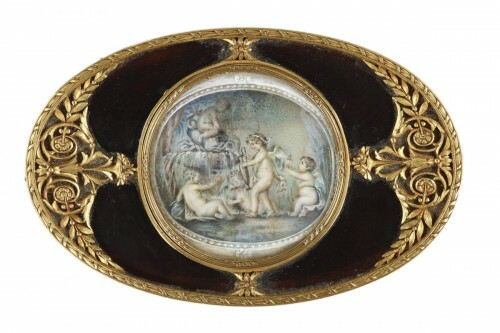 The enamel medallion portrays Cupid with his quiver, bent on one knee petting a dog, which represents Faithfulness. The pair are set in a landscape with a blue sky. 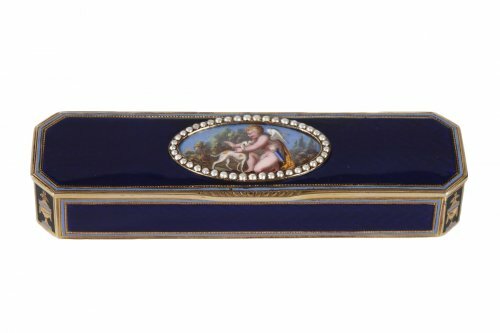 This same shade of sky blue is repeated to outline the cover and sides of the box. 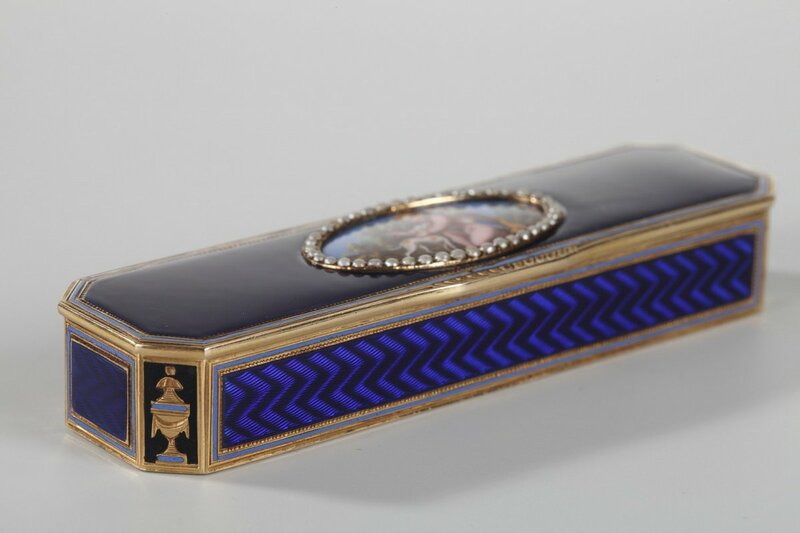 The angled corners feature urns set on a black enamel background. 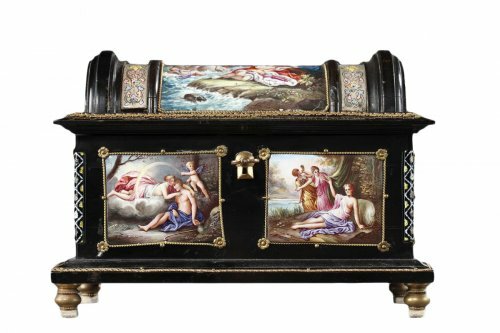 Swiss craftsmanship from the late-18th to early-19th centuries.